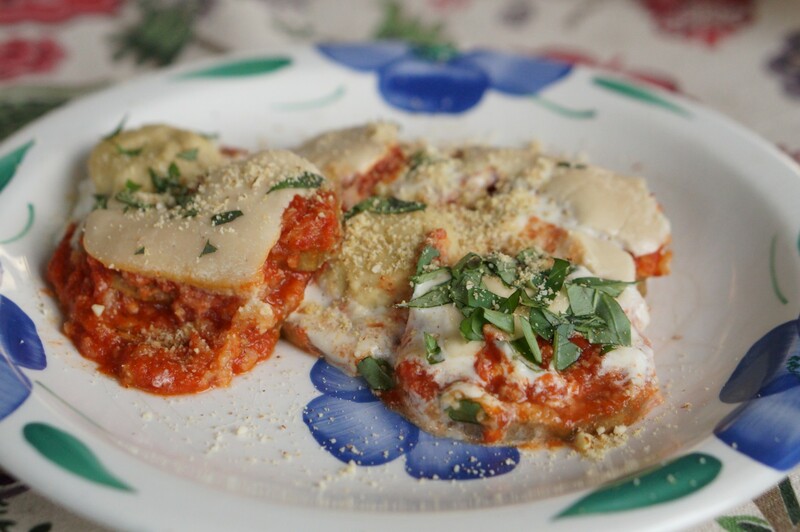 We’ve been getting plenty of eggplant from our CSA and found that this Eggplant Parmesan recipe from Chloe’s Vegan Italian Kitchen was super easy to make and really delicious. Rather than breading and frying the eggplant, it’s broiled and then layered with tomato sauce, bread crumbs and a faux mozzarella sauce made from cashews. The only issue I had with the recipe was that the cooking times seemed too short. The eggplant was pretty toothsome at first but after covering it and cooking it longer it was melt-in-your-mouth perfect. Hopefully we’ll have a chance to make it again before the eggplant is gone for the season!